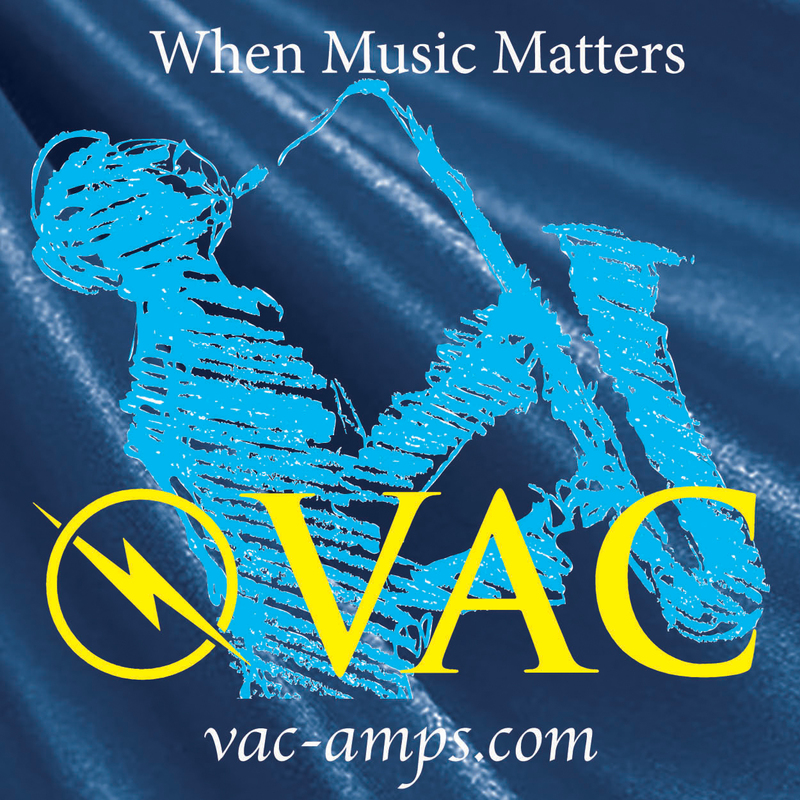 -- by John Grandberg Just how important is the transport in a quality audio system? It's a deceptively difficult question. Notice I'm asking specifically about transport rather than DAC. 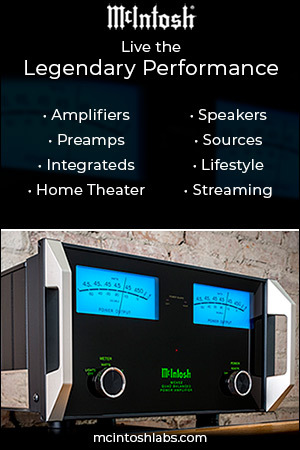 If you browse various audio forums you'll see quite a few different approaches - some guys run super high end speakers and amplification, priced well into five figures, but are content to feed it all from a relatively low priced universal player like an Oppo or Marantz, maybe even without an external DAC. Other times you see guys with some massive Wadia or C.E.C. or Mark Levinson spinner, paired with a comparatively modest DAC from Benchmark or Rega or Musical Fidelity. And don't get me started on USB DACs ... plenty of folks out there using some $500 laptop with a DAC costing ten or twenty times that much. What's the best approach? Does transport even really matter? Do we simply spend more and assume we get more in return? Let's back up for a second for a brief introduction. My name is John Grandberg and I'm normally found over at InnerFidelity.com where I write about headphones and related equipment, desktop audio, and even smartphones or tablets, as they pertain to the audio experience. I'll be contributing here on a Part-Time basis (see what I did with that?) covering stuff that doesn't really fit at my regular gig. 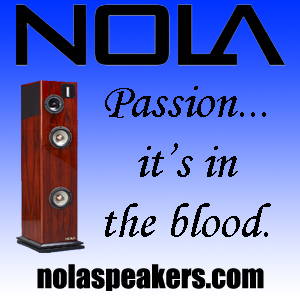 At InnerFidelity we use the term "personal audio" to define our focus and in many ways it's a little world unto itself. You may notice how some of my reference equipment is from brands you've probably never heard of - while there is certainly some crossover with "big audiophilia" in general, a lot of the companies specializing in headphone gear don't really do much outside of that sphere. This is noteworthy because it leads to "pockets" in the market where the headphone world diverges from the mainstream to some degree. I have a little theory about that, which I hope to flesh out during the course of this review. There was a time when high quality CD playback generally meant a single-box player. These days the trend leans decidedly towards the separate transport-and-outboard-DAC scenario. Not that you can’t still find a great one-box solution, but it seems most people recognize how DAC technology is advancing at a more rapid pace, while transports have been more or less “figured out” for a while. 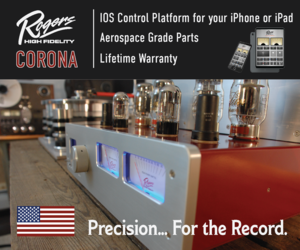 A classic higher-end transport – Sonic Frontiers, Theta, that sort of thing – will still be quite good in a modern system, while most vintage DACs, despite the charm of a few overachieving models, are a bit more outdated. Doubly so if we consider features. So you get a decent transport that should last forever, update your DAC every once in a while, and you’re all set right? Not so fast. Some years ago, a little thing happened to the HiFi scene called USB audio. Maybe you’ve heard the term? At first, it was a slow start. Serious ‘philes scoffed at the idea of having a computer anywhere near their listening room. And transmitting audio over USB? Ummmmm… No. You gotta be kidding me right? That’s how I connect my printer, not my DAC. Can’t say I blame people for feeling that way – early attempts clearly highlighted the weakness of the medium. Even as recently as three or four years ago, you’d have a nice DAC like a PS Audio DLIII or Bryston BDA-1 that sounded just dandy via SPDIF but decidedly ho-hum over USB. Yet computer audio continued gaining traction, driven by lossless formats and audiophile-specific playback software and sites like HD Tracks selling hi-res files. And lets not forget a little company called Apple, which by now has sold literally hundreds of millions of players based on the concept of digital files being stored on a computer rather than optical media. As such, USB inputs went from novelty to necessity, and the incentive to figure out high quality solutions continued to grow. Unless you’ve been living under a proverbial rock, you’ve probably heard the term “Asynchronous USB”. 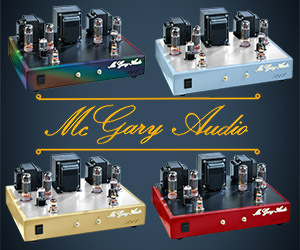 Wavelength Audio’s Gordon Rankin was the first to offer a consumer DAC using this technology and many others soon followed. Asynchronous operation allows the DAC to control the ﬂow of audio data rather than the computer. Data is ‘pulled’ from the computer under control of the DAC, rather than ‘pushed’ to the DAC under control of the computer. 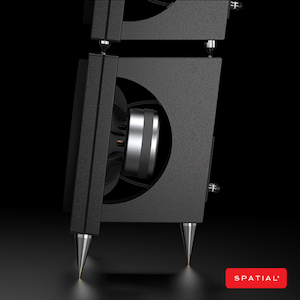 This is beneficial for a variety of reasons; the more technically minded among you can read all about it in this helpful whitepaper from Naim. At one point asynchronous operation was hailed as a sort of magic bullet for computer audio but we’ve since learned (the hard way) that it’s just like any other technology, where some implementations are great and others are, well… not. So despite most new DACs using asynchronous implementations for their USB input, some do it far better than others. So what to do when you have an exceptional DAC that does everything else right, but has an inferior USB input, or (gasp!) no USB input at all? Enter the USB to SPDIF converter. Sometimes referred to as a DDC (for Digital to Digital Converter), these little boxes are hot lately — a device that pulls USB data from a computer and spits out a high-quality SPDIF signal that any DAC can handle. Early models tended to use adaptive mode USB and were more aimed at convenience than true sound quality, but by now any DDC worth its salt uses an asynchronous transfer mode. The focus of this article is a DDC which I’ve used in my setup for a while now, with fantastic results. 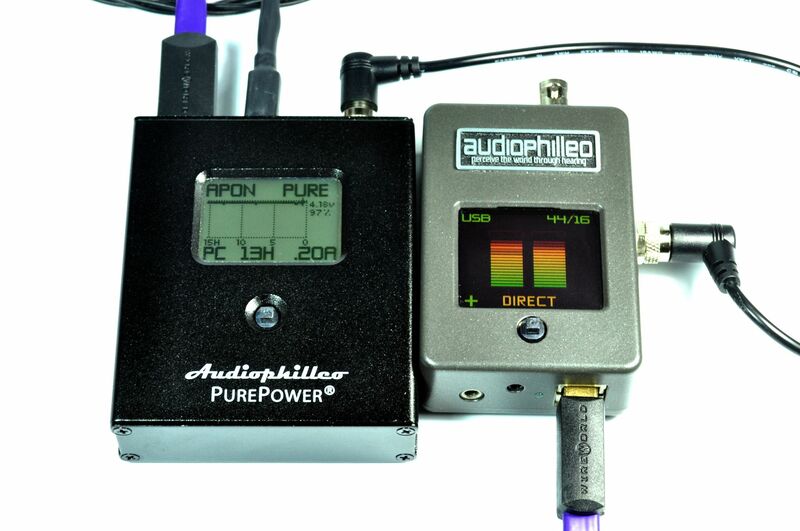 The Audiophilleo 1 with PurePower battery power supply, hereafter referred to as the AP1+PP system, or just The Audiophilleo. 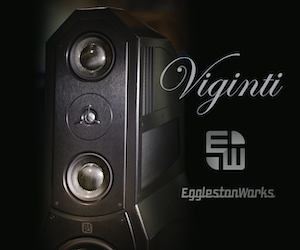 It sells for $1379 at present and is, in my ever so humble opinion, one of the best values in high-end audio today. Period. The AP1 links directly to your DAC via BNC connection, which is technically a superior choice compared to the coaxial SPDIF interface. Audiophilleo handily includes adapters for coaxial if your DAC doesn’t have BNC, as well as another option for using a cable between the AP1 box and the DAC. I prefer direct coupling but some DACs have a physical layout that precludes that from working. Either way, Audiophilleo has you covered. They even throw in a WireWorld Ultraviolet USB cable to get you started. Nice! Most DDCs are rather simple creatures. If you’re lucky, you’ll get some type of sample rate indicator, or maybe just a power LED. Not so the AP1 – Audiophilleo gives us a large and colorful OLED display packed full of info. During playback it defaults to an informative screen with dancing VU meters, volume trim level, and sample rate/bit depth info. But it also acts as a menu through which numerous options can be accessed. And yes, I did just mention volume control – the AP1 can act as a digital preamp. Cool! It even has an infrared sensor and can be custom programmed not only for volume but also transport controls for your media player. I don’t use this feature myself but I can see how it would come in very handy. One thing I do use is the STATUS screen. It shows a bunch of useful info pertaining to the computer being used by the AP1. Since I run a “headless” music server (no display) this type of thing is helpful to have. It gives me real time updates on CPU load, USB under/overflow, and other useful info. Here’s a video showing the menu in action; it’s probably easier to get the gist by watching rather than have me go on and on about it. As you can see there’s even a HELP option for people like me who become easily confused. The PurePower module is completely idiot-proof, which this idiot really appreciates. Some devices running on battery power demand manual switching to recharge. Who has the time and organization for that? I imagine myself sitting down to listen, only to discover I neglected to charge the thing and can’t use it after all. Dang! The PurePower manages everything for you, automatically recharging when not in use. It has a display which shows all sorts of useful info like voltage and remaining play time. The battery lasts for about 15 hours of non-stop use which seems like plenty – if you listen for longer than that, without any breaks, you’ll have bigger problems than just the PurePower running out of juice. If you do somehow manage to go that long, the system will switch to USB power and continue playing while also recharging at the same time. The battery is expected to last roughly 3 years given “typical use” at which point it can easily be replaced by the user (just 2 screws to remove). High quality clock. This is absolutely essential, and some DDCs use surprisingly pedestrian choices. The output and clocking circuitry is fully differential, improving power supply ripple among other things. With the optional add-on PurePower power supply, you get complete power isolation from the PC. VBUS and GND are not DC or AC coupled to your DAC. Most USB to SPDIF converters only use a transformer to DC isolate between USB ground and DAC ground, but high-frequency AC noise will still bleed into the DAC. Reliable Windows driver (only required above 96kHz) and no driver required with OSX or Linux [that is, it’s compliant with USB 2.0 Audio — ed.]. A lot of third party USB audio implementations don’t support Linux (which is commonly used for music servers) and need drivers (which can be quite buggy) both for Windows and OSX.. Responsive service. 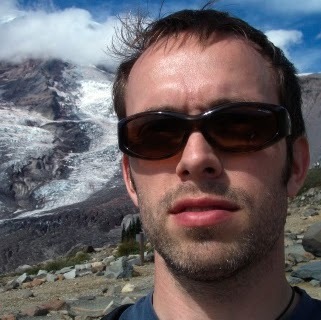 Philip is not just some corporate bigwig who uses engineers to do his bidding and filters inquiries through customer service reps. With an extensive background in semiconductor automated test equipment, Philip knows what he’s talking about, and can answer questions quickly and authoritatively. If there’s ever an issue, he’s got the power to make it right. This is not completely unique to Audiophilleo, but we’ve all dealt with a company or two which did not have this type of service… and it ain’t fun. For those on a budget, there’s always the Audiophilleo 2, which is the same as the Audiophilleo 1, minus the very helpful OLED display. Either unit can be ordered with or without the PurePower add-on. Without PurePower, the device draws juice from the USB line, cleaned up through regenerative circuitry. You can see pricing on the various configurations here. Actually, the whole site is worth browsing thoroughly, having far more useful info than the average manufacturer website. So, how does the Audiophilleo setup sound? Well, it’s a bit tricky actually… The AP1+PP doesn’t really have a sound of its own. Instead, it allows whatever DAC it gets paired with to perform at its best. Since we’re feeding it with a better signal than anything the DAC has likely ever encountered, we should reasonably expect results better than anything we’ve yet heard from that particular device. And that’s exactly what we get. For example: when I use the NuForce DAC-100 – a fantastic little unit at $1,095 – combined with their matching HAP-100 headphone amplifier driving the highly resolving Sennheiser HD800, I hear a generous improvement via the Audiophilleo. The sound is more refined, with improved bass texture and impact, as well as a more clear midrange (vocals especially), resulting in better overall transparency. The DAC-100 is no slouch, and its integrated async USB is pretty good on its own. But the difference is fairly clear on a highly transparent system. If I switch to my $399 HiFiMAN HE-400 headphones the improvement is less obvious – I really enjoy the HE-400 but it simply doesn’t have the necessary resolving power in this situation. Which brings up a good point: the associated gear must be up to the task or the Audiophilleo won’t really shine. Moving upmarket in terms of pricing, I tried a Musical Fidelity M6CD ($2,499) which is a CD player with DAC functionality thanks to SPDIF and USB inputs. Unfortunately, the USB input seems like something of a marketing driven afterthought — it sounds hazy and indistinct, not at all living up to the otherwise appealing sound of the device. What’s worse, it tops out at 48kHz, precluding any sort of hi-res action. Bummer. The AP1+PP remedies the limited resolution, but more importantly cuts through the fog, allowing a far more accurate window into the musical landscape. And it doesn’t take Diana Krall-esque Capital-A “Audiophile” music to notice this improvement – some of my favorite bands like Radar Brothers and Pedro the Lion have a deliberately low-fi garage-rock vibe, and even then the difference is not hard to spot. With the Audiophilleo in the mix, I’m hooked. It commands my complete attention and I don’t want the music to stop … with the native USB, I’m more apt to reach for a magazine while I “listen” because it’s just not as engaging. It’s sort of an experiential thing that’s not always easy to put into words but is blatantly obvious when it happens to you. What’s that you say? The Musical Fidelity M6CD is nearly 5 years old and isn’t really a dedicated DAC anyway, so I should cut it some slack? Maybe try a more modern high-end model with a “proper” USB interface? Okay, how about the Esoteric D-07? The D-07 was released a few years back and sold for $4,800. It was the first time Esoteric ever did USB, and as you can see, the USB input doesn’t really measure up. My ears tell a similar story – the native USB is not ideal. It’s thin and shouty and makes brass instruments sound like they were built out of plastic. In my mind, a nearly $5,000 device should deliver the goods no matter what input is used, and the native USB just seems like a bottleneck in this case. Slap on the Audiophilleo and things become way more balanced. There remains a bit of a spotlight in the presence region, but it’s nowhere near bad. Music becomes far more listenable; brass has bite without being so obviously overdone. The overall result is simply enjoyable, where prior I had struggled to get anything resembling realism from the device. This is not some Audiophile mumbo-jumbo where I appeal only to those with absolute cutting edge headphones or speakers to maybe, just maybe hear a difference. This is a clear advantage, a fundamental improvement that I suspect anyone with a reasonable setup could spot. Okay, but what about a truly current DAC? I happen to also have the updated Esoteric D-07X on hand, which uses an asynchronous USB chipset of unknown origin. More than a mere refresh, the D-07X is almost a complete redesign (though you wouldn’t know it from the outside), and definitely sounds better, to my ears, than its predecessor — regardless of which input I use. That said, USB does show the biggest improvement, being essentially equal to SPDIF as fed by a quality CD transport. So there’s no use for the Audiophilleo in this setup, right? The thing is, I hear better results through the Audiophilleo than I do with any disc-based transport. It’s not simply a matter of USB keeping up, but rather exceeding everything else I try. The AP1+PP was able to better a Lexicon RT20, Marantz SA-1, PS Audio Perfect Wave Transport, Esoteric SA-50, C.E.C. TL3N, Audio Research CD 3 mkII, Mark Levinson No. 31.5 … I could go on and on, but I think you get the point. All of these are fantastic CD players or transports in their own right, costing anywhere from a few thousand to nearly ten thousand dollars, but none presented as delicate, refined, and downright listenable sound as the AP1+PP. Hard to believe, especially for those who cling to the “price always translates to performance” mentality. But there it is. Again, the difference will be greater at times with different DACs, but there is almost always at least a modest improvement with the Audiophilleo in play. Expect more accurate imaging, increased layering and depth, more realistic transients … basically, the works — as long as your system is good enough to show it. Admittedly, at times the difference was small enough to make me question the value of the AP1 system. Specifically, my Firestone Audio Tobby DAC ($1099) shows practically zero improvement. It seems like the designer really optimized it for USB over all the other inputs, and the AP1 is not able to add much to the experience. I got similar results from the Parasound Zdac – it’s one of my favorite “affordable” options at $475, and doesn’t much care what sort of signal it gets fed. That begs the question: are these native USB sections really so advanced that they keep up with the Audiophilleo? Or is it more a case of them being optimized for USB, and their SPDIF input is not as good? Or are they simply not resolving enough to show the improvement? Who knows … I realize that adding a DDC costing more than the DAC itself is not necessarily a good example of real-world use, but it helps illustrate my point that the Audiophilleo doesn’t quite gel with every single DAC. Most of them, yes, but not quite all. Sometimes the cost of the Audiophilleo would be better spent just buying a better DAC in the first place. Other times, not so much. I’ve noted a recent growth in quality of DACs in the $1,000-2,000 price range. Today’s really good $1,500 unit can often outperform a device which just a few years back went for several times that much. 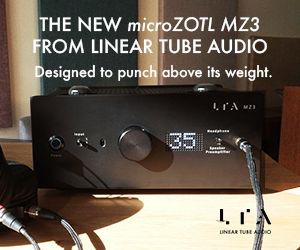 And many times, spending $3,000 on a current DAC won’t really get you much over a sub-$2,000 competitor. I’d call that my personal point of diminishing returns, though of course some exceptions can be found. And keep in mind – the Audiophilleo will stay with you even as your DAC gets replaced by newer and more advanced models, so it’s got that going for it. 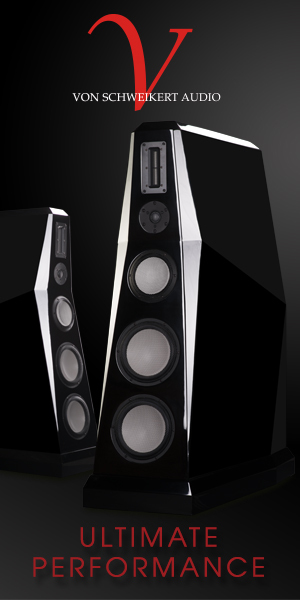 Lasly, I have to comment on my reference DAC, the Resonessence Labs Invicta ($4,000). It’s a brilliant device that outperforms competitors I’ve tried costing well over double the price. It’s also sort of a special case. Its USB input is exceptionally good, and I didn’t really expect to hear much improvement. Yet when I play a great recording from Livingston Taylor or Marvin Gay or Hiromi or Eric Bibb, I do think the Audiophilleo setup is that much more engaging. It’s not a major difference, and if forced I’d call it maybe 5% at best. But that’s not really why I use it. No, in this case I go back to that compatibility thing mentioned by Phillip Gruebele. See, the Invicta doesn’t play nice with my Auraliti PK90 music server. It’s the strangest thing – 96kHz tracks work fine, but 192kHz songs are all distorted, and 44.1kHz material refuses to play at all. Apparently the Invicta is not completely happy with Linux, or at least the particular forked Voyage Linux used by Auraliti. With the Audiophilleo inserted into the chain, all resolutions play perfectly. Factor in the slight improvement in sound quality and I’m very pleased with the results. This may be a unique situation but the number of people using computers or custom music servers is growing quickly, and the Audiophilleo basically ensures compatibility and high sound quality no matter what. 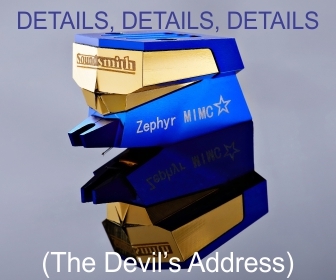 Going back to my earlier paragraph – the total cost of the Audiophilleo and Invicta is roughly $6,500, and I’ve yet to hear a transport/DAC combo priced remotely in that range that can beat it. So, this is all great, but what about other DDC options? It’s a rapidly expanding market with new choices launching all the time. Audiophilleo has been around longer than many – is it still one of the best? In depth comparisons between DDCs is time consuming and the results probably won’t apply to your system anyway, so I’ll keep this brief. I compared the Audiophilleo system to three contenders I had on hand: the Stello U3 ($495), the Empirical Offramp 5 ($1,549 as tested, with optional Hynes regulator), and the Bel Canto REFLink ($1,495). The Stello is completely outclassed in this group and as expected the AP1+PP totally outperformed it. I still think it’s a nice little DDC and worthwhile for upgrading USB capabilities on a more sanely priced DAC. 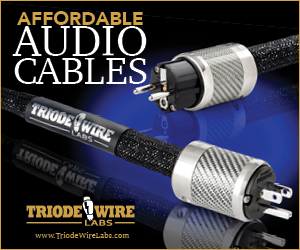 The Offramp and REFLink are newer options and priced within spitting distance of the Audiophilleo. I had heard good things about both models and I can confirm that both are really quite nice overall, but my preference remains for the AP1+PP. The Offramp gave me the impression of being somewhat “dark”. Just how can a device convert signals from USB to SPDIF and sound dark in the process? Dunno, but I listened across multiple setups and always felt the same way. Whether listening on my 2-channel setup, or my desktop rig, or any one of several headphone configurations, it continually felt lacking in top end “air”. This could be enjoyable at times, especially with certain gear, but ultimately felt like something was missing from the presentation. I’d still recommend the Empirical but careful system matching would be required, or maybe just the kind of ears which like that sort of sound. The Bel Canto REFLink came very close to the Audiophilleo. Both were very natural and organic, with a sense of ease that made them superior to most native USB implementations. I could happily live with the REFLink in my system – I even love the looks of it! At the end of the day though, I do enjoy the Audiophilleo more, for a few reasons. First, the sound. I get a very slight impressions of more defined soundstage and more precise imaging with the AP1+PP. It takes my best gear to flesh this out, but I do believe it’s there. I imagine this could be even more noticeable on a really nice speaker-based system – in my house, the headphone rig is king, and headphones obviously don’t image quite like speakers can. The other differences are minor: I prefer the direct coupling of the AP1, and I find the display more useful. And Audiophilleo offers different colors for it’s product, which I suppose could be a factor for people more style conscious than I am (read: most everybody). Remember my earlier mention of “pockets”? I was alluding to trends that pop up in subsections of the audio world, but aren’t as prevalent in other places. I’ve seen specific components or brands gain widespread acclaim on one forum but remain almost totally unknown elsewhere. 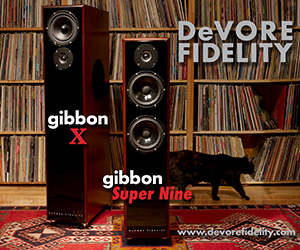 Ever hear of Audio GD? Anedio? Cavalli? Apex? Violectric? Probably not, but those brands are quite well known among HeadFi folks. And so is the Audiophilleo gear. HeadFiers trend towards being younger and therefore more comfortable with technology. They overwhelmingly use computers for playback rather than any other form of media, though of course you’ll also find some disc and vinyl lovers in the crowd. Which I think explains why they are more quick to adapt to the whole DDC trend. And as several years have passed, the Audiophilleo has proven itself as a leader in the segment. But there’s no reason why more “traditional” audiophiles shouldn’t also want top-class performance as they increasingly seek out file-based playback solutions. HeadFiers may have gotten off to a head start, but I have the feeling mainstream audiophilia will rapidly catch up over the next few years. After all that, I refer back to my opening paragraph – how important is a transport? I’d say it’s very important; critical even, as long as the system is good enough to reveal differences. The Audiophilleo 1 with PurePower is quite simply the best sounding transport I’ve ever experienced. Which is great, because when do you really get the best of anything without spending a fortune? I’d like to think makers of uber high-end traditional disc-based spinners are nervous, but that’s just silly – with CD sales gradually slowing, they were surely nervous already. Any company hanging their hat purely on CD transports, well … they might find themselves in trouble, struggling with competitors for a piece of an increasingly smaller pie. 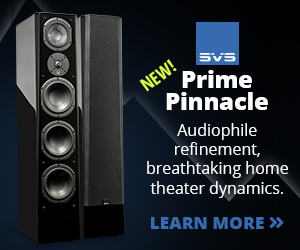 Regardless, if you have or plan to have computer-based playback in your system, the Audiophilleo 1 with PurePower is just phenomenally good – the yardstick by which all other DDC components should be measured. My speaker system is decent – MacBook Air running Audirvana Plus, feeding a NuForce DAC-100 via USB and then out to a NuForce HAP-100 preamp. Amplification is either a Parasound Halo A23 or a NuForce STA-100, and speakers are the ever-lovable Sjofn HiFi (the clue). I have them mounted right up to the wall as per manufacturer recommendation, mounted on Sanus NF30 stands which are taller than recommended – but so am I. The acoustics in my room are not great so this is about as high end as I care to go. My desktop system is constantly rotating. The computer is a big Dell 17R with fairly high specs. 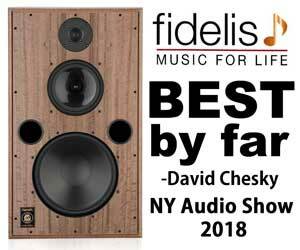 For this review I used the Resonessence Labs Concero HD, feeding either the Serene Audio Talisman for full-range single-driver goodness, or else the Adam Audio F5 for some AMT tweeter action. I think this system actually sounds a bit better than my big setup in some ways. Neither of those are all that amazing – I mean, have you seen Scot Hull’s system? Yikes. 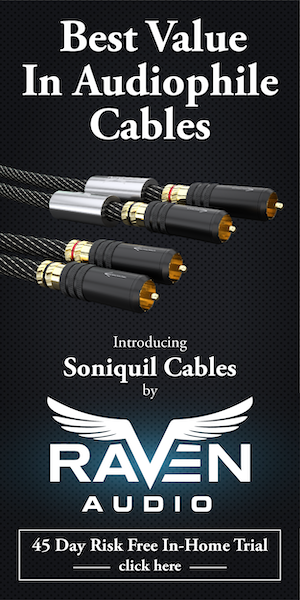 What I lack in speakers and wattage I make up for in high-end headphones. Lots of them. I’ve got all types – dynamic models like the Sennheiser HD800 and Beyerdynamic T1, planar magnetic jobs like the Audeze LCD-2 and HiFiMAN HE-500, and my personal favorite – the electrostatic Stax SR-007mkII. I’ve also got several dozen custom molded in ear monitors – yes, you read that right (luckily they take up minimal space). I’ve got many of the top models like JH Audio JH13Pro FreqPhase, Westone ES5, Heir Audio 8.A, and the Unique Melody Platform Pure 6. I’ve also got a supporting cast of great choices like Unique Melody Merlin, Heir Audio 4.A, 1964 Ears V3, Lear LCM-5, Cosmic Ears BA4, Earproof Atom, Aurisonics AS-1b, and on and on. The main headphone rig consists of a lot of high-value gear which has replaced my former and far more expensive stuff. Auraliti’s PK90 music server pairs with a NuForce LPS-1 linear power supply and plays files off a 2TB external drive from G-Technology. DACs include the Resonessence Labs Invicta, Anedio D2, Violectric V800, Yulong Audio DA8, Matrix X-Sabre, Firestone Audio Tobby, Northern Fidelity NF DAC, and probably some others that I’m forgetting. 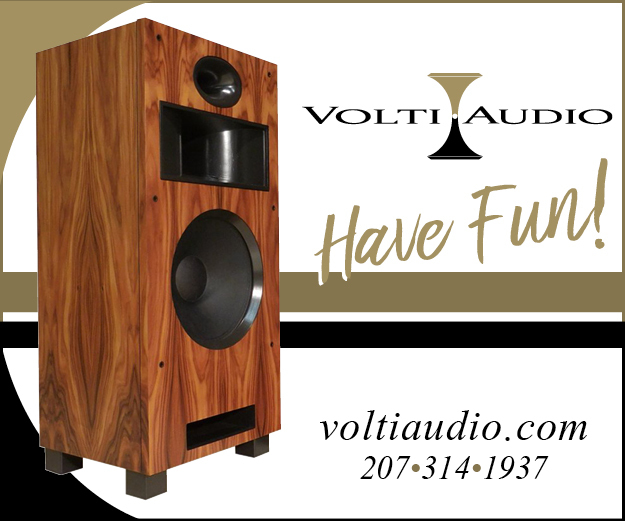 Powering the headphones is a range of excellent amplifiers: Violectric V200, Auralic Taurus, Firestone Bobby, and Yulong A18 are all solid state, while single-ended triode goodness comes from the Analog Design Labs Svetlana 2 or the Icon Audio HP8 mkII. My Stax are driven by a vintage Stax SRA-12S electrostatic amp, restored and converted to Pro bias by one of the world’s foremost Stax experts. Power conditioning is handled by an APC S15, a CablePro Revelation, or a Yulong Sabre P18, depending on the system. Most of my cables are Cabledyne Silver Reference (AC, interconnect, digital) but I also use a generous helping of stuff from Charleston Cable Company (speaker cables, interconnects, USB, AC), Toxic Cables (killer headphone cables), CablePro (various adapters), and a few others from NuForce, Effect Studio, 93East, and Beat Audio. This ain’t all of it, but it’s enough to give you a good idea of how much clutter gear I have to choose from. I’d love to have some crazy speakers from Revel or Wilson or Rockport but my room just won’t support that, so this works for me – I can rotate between various world class options without hogging the living room. John Grandberg can normally be found contributing to InnerFidelity.com where he covers “personal audio”, which includes headphones and amplification, desktop speakers, portable players, etc. He has a decent speaker-based system but spends most of his time with tiny speakers strapped to his head, or sometimes even inserted into is ears. Gross. John tries his best to eschew purple prose but occasionally has trouble avoiding sesquipedalian loquaciousness. Shockingly, he doesn’t “do” vinyl, being utterly content with his ever growing collection of music stored in lossless digital form. He is terrible at photography and apologizes in advance for the shoddy pictures he might force upon his hapless readers. Consider yourself warned. Other times you see guys with some massive Wadia or C.E.C. or Mark Levinson spinner, paired with a comparatively modest DAC from Benchmark or Rega or Musical Fidelity. And don’t get me started on USB DACs … plenty of folks out there using some $500 laptop with a DAC costing ten or twenty times that much. 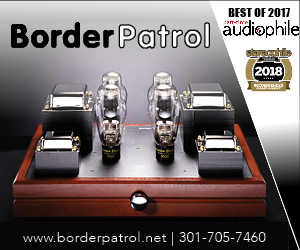 John – Your thoroughness with the AP/PP (via comparisons with other gear) makes your review somewhat exemplary. Well played, Sir. GREAT piece as always John!! I would love to know how my Sonicweld Diverter (USB-SPDIF converter) would sound as opposed to the REFLink – which I like as well. Hell, even their entry-level uLink out-performs its price tag by margins I think! I’m going to investigate the Audiophilleo for SURE now brotha. Does the Audiophilleo 1 work with DSD files played back through a DSD-capable DAC? I think that it probably doesn’t, since S/PDIF doesn’t support DSD. Good question. Technically, it does. The AP1 supports DSD64 playback via the DoP method, and there’s even a Special Edition for $150 more than does DSD128 and up to 384KHz PCM too. The problem is most DACs won’t accept that over SPDIF. The DoP spec allows for it (the signal appears to like 24/176.4 PCM) but I’ve yet to find a DAC that actually does it. So far I tried the Resonessence Invicta, the Yulong DA8, and the Matrix X-Sabre, all DSD capable DACs. They all try to play it (again, as 24/176.4) but the sound is all static or hiss. I’ve read the Mytek or the new Benchmark DAC 2 may handle DoP over SPDIF, but I have my doubts until someone actually confirms it. That said, these manufacturers are still figuring out what people want. I have no doubt some future DACs will support it. Yes, the Mytek and the Chord QuteHD are two DACs I have here that do DoP via SPDIF and/or AES (and USB of course). No problem. Sesquipedalian loquaciousness? Takes one to know one. Talk about the pot calling the kettle black! What a palaver! I’m cognizant of the obligatory longanimity involved when reading my multifarious chirography. I vow never to defalcate your assiduity. Good review. Look around the net, and you will find various comparisons of these types of units. Not all of them rank this combo as the best (although they all seem to think it is one of the better ones). Useful to do a trial or audition before buying. I think there is a level of system matching here – different converters may work better with one setup than another. Also worth explicitly pointing out that the Audiophileo 2 is sonically identical to the Audiophileo 1, and saves several hundred dollars. Just a small point, but there is a link in the review to the page on the Audiiophileo site comparing converters. The page is outdated by several years in some cases, and also contains a few errors. This has been pointed out (by me, as well as by others) to the Audiophileo guys, and they haven’t corrected the errors or updated the page. Draw whatever conclusions you wan’t from this. Thanks. I agree that system matching is definitely a factor – I could easily assemble a system where the Off-Ramp 5 would be my first choice. And the Bel Canto nips right at the heels of the AP1+PP, so I would not argue with someone who preferred it. I did mention the AP2 in there somewhere (about midway down). Definitely a worthwhile option if you don’t want/need the extra features of the 1. I did mention the comparison page to Philip, with regards to updating it. He definitely intends to do so but hasn’t yet found the time. Just one of those things I guess. I suggested a few things that I thought would be useful and he was very receptive to it. So we’ll see. I dunno. I use the iFi iUSB Power+Gemini cable+iLink+ Ultrafi Aubique filter and the whole shebang costs just $775 and I find it sublime and VERY hard to beat. i would love to compare against the above setup. Great review, but way out of my league. I have a benchmark dac1 with a hiface2 USB/spdif. I am thinking to upgrade to an ilink. I recommend a future review of affordable converters. I have an iUSB and iLink here and have tried their headphone amp too. It’s all good stuff, and I can happily recommend it But I’d choose the Audiophilleo combo if price was not a concern as I feel it exceeds the iFi gear by a reasonable margin. I DO like that iFi allows one to piece it together and upgrade as you go. That’s always a good thing. Fair snuff, but the Aubisque filter takes it to another level! You also need the dual head cable to make the iUSB work properly!